Secret Deodorant’s new All Strength, No Sweat ad. CINCINNATI--(BUSINESS WIRE)--Today, Secret Deodorant announced a nationwide casting call for its new “All Strength, No Sweat” campaign alongside four new product launches. As part of an ongoing effort to showcase the awe-inspiring, barrier-breaking stories of women across the country, Secret will enlist up to 10 women to tell their personal stories of strength and fortitude in a series that will air across various platforms, including digital and Secret’s social channels, throughout 2019. This announcement comes on the heels of the release of Secret’s latest ad, “Women’s World – All Strength, No Sweat,” which brings to life the stories of real women who are challenging the status quo and pursuing their passions, without “sweating” the obstacles in their path. Produced by a predominantly female crew, the video features seven bold, boundary-pushing women in their everyday professions, from a musician who was spurred to chase her own dreams after becoming a mother, to a woman who set aside three degrees and quit her day job as an architect to become a brewer. Throughout the year, Secret will continue to tell stories of “all strength, no sweat,” from well-known dynamos like Arianna Huffington to other hustling go-getters who inspire the team at Secret and beyond. Starting today, Secret is calling on women to proudly share their best “All Strength, No Sweat” stories via Instagram. The brand’s panel of “judges” – including brand leaders and influencer partners – will elevate the stories of women’s most daring, inspiring, strength-without-sweat feats for inclusion in upcoming marketing efforts. To join Secret’s #AllStrengthNoSweat story-sharing movement, women can check out the official contest guidelines here. NEW Secret Aluminum Free Deodorant: For those days women don’t need maximum sweat protection or for those who choose to go aluminum-free every day, this gentle silicone-based formula shares 60 percent of its ingredients with those found in skincare lotion, is paraben and dye-free, and goes on clear and dry, making white marks a thing of the past. NEW Secret Body Cleansing Wipes: These single-use, alcohol-free and individually packaged cleansing wipes enable convenient removal of any odor-causing sweat and residue – for underarms and beyond! NEW Secret Clinical Strength Fast Acting: This max-protection formula works on contact; like a magnet, it brings the active ingredient together with sweat to provide faster protection against odor and wetness. NEW Secret Clinical Strength Night Treatment: Applying antiperspirant at night – when your body temperature is regulated – allows product to form a stronger barrier against sweat, making Secret Clinical Strength 10 percent more effective. For more from Secret, visit Secret.com, or follow Secret on Facebook (Facebook.com/Secret), Twitter (@SecretDeodorant), Instagram (@SecretDeodorant) and YouTube (YouTube.com/SecretDeodorant). 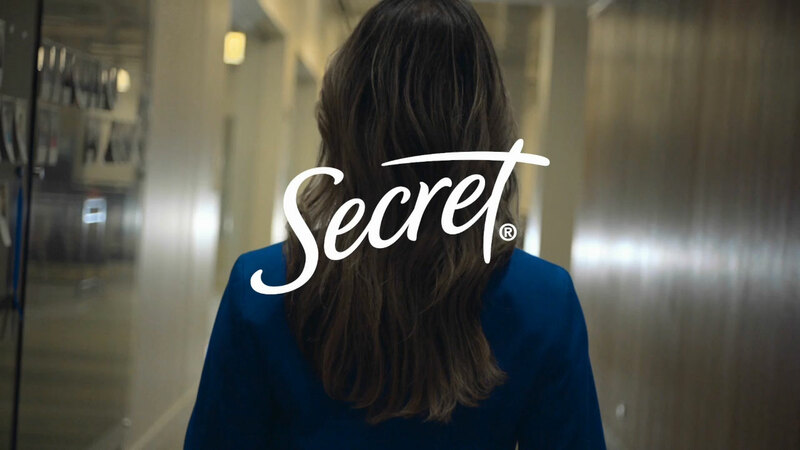 Secret was the first antiperspirant brand designed specifically for women, and for the past 60 years, Secret has been on the forefront of women’s lives, leading with innovation designed to provide superior odor and wetness protection. Through the years, the brand has proudly supported women’s advancement by portraying confident, modern women in its campaigns and communications. Its latest campaign, “All Strength, No Sweat,” is a continuation of this commitment to women, celebrating those who boldly challenge the status quo, push through barriers and stand up for what they believe in, without “sweating” the obstacles that may come their way. Secret challenges women everywhere to be all strength, no sweat.